This year, 2014, marks the ten year anniversary of The VSA Race Series. The Race has always been appreciated as a day of fun flying, an opportunity to have social events, a day for learning experiences for even the experienced pilots, an opportunity to compete, and a day to experience the many enjoyable aspects of the sport of soaring. may delay the approved list of tasks until actual soaring conditions are verified. will announce the time that the gate is open. – allowing additional miles to be added to stated task distance, etc. 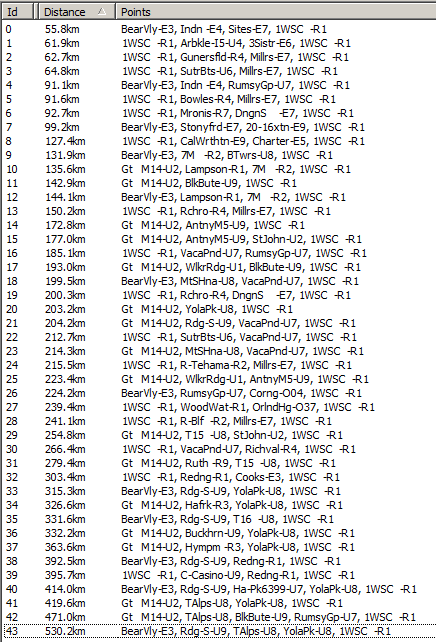 The data base of turn points used in the race series is published by John Leibacher on the Worldwide Soaring turn point Exchange, located at http://soaringweb.org/TP/NA.html#CALIF The data file for the 2014 VSA Race Series is called “wsc12a″. The start gate will be a cylinder, with details of height and size specified by the CD. Pilots must fly within one statute mile (sm) of each turn point, or as specified otherwise by the CD. The finish gate will as specified by the CD. 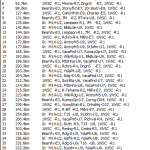 Raw speed is stated task distance divided by time on course, however the scoring distance used for the calculation will be the distance published for that task, minus the distance from WSC to the Start Gate ( see footnote 1). Start time is when the pilot leaves the start cylinder and entering the finish cylinder or crossing the finish line. Extra task distance cannot be increased by flying closer to or past a designated TP. The CD will create a short list of tasks, specifically chosen for the soaring conditions for that day, using the current WSC database (“wsc12”). Each pilot will receive a description of each of the tasks on that short list prior to flight. The following is a sample of some of the tasks that the CD may use, however, the CD will create a sort list of tasks each race day. Although the CD may select from this list, other tasks may also be used. This list is for purposes of illustration only. Footnote 1: Calculation of speed using adjusted distances. Example task is start at Goat, go to TPs, return to Goat and then finish at WSC. If two pilots fly the task from start back to Goat at the same speed of 70 MPH, then task speed (including to the finish at WSC) will be the 70 MPH for both pilots. But, we know in reality that the average speed for a pilot flying 125 miles will be much higher than for a pilot who travels 325 miles due to the tow distance from the finish to the start gate. The solution is to not include the tow to the gate in the total distance when computing speeds. If Pilot A only gets credit for traveling 100 miles instead of 125 (125 – 25), then his speed of 70 MPH becomes 55.9 MPH. If Pilot B only gets credit for traveling 300 miles instead of 325 (325 – 25), then his speed of 70 MPH becomes 64.6 MPH. Why didn’t we think of this rule ten yeas ago?